I am an archaeologist interested in the evolution of political complexity in ancient western North America. I have conducted archaeological field research on California’s Channel Islands since 1981. My primary interests are constructing theories of sociopolitical evolution and exploring the nature of craft production practices. I have collaborated on international field projects in British Columbia and Europe (Denmark, the Netherlands) and served for 14 years on the Society for American Archaeology's National Historic Landmarks Committee, preserving the nation's cultural heritage. I collaborated with UCLA faculty on a 10-year ethnoarchaeological study of modern American middle-class families and am lead author of the award-winning book Life at Home in the Twenty-First Century: 32 Families Open their Doors, a revealing investigation into material culture in American households (with Graesch, Ragazzini, Ochs). Recent publications include a study in J. of Archaeological Method and Theory on apprenticing practices among Channel Islands bead-makers as well as a co-authored article in J. of Archaeological Science based on experiments that help explain the islands-based monopoly in shell bead manufacture. I am a Fellow of the California Academy of Sciences. Among other publications are six books, most recently California’s Ancient Past: From the Pacific to the Range of Light (with Walsh) and The Origins of a Pacific Coast Chiefdom: The Chumash of the Channel Islands. I have published on the topics of labor control and complexity, lithic specialization, lithic performance characteristics, fused shale projectile points, marine mammal hunting, consumption in modern Los Angeles, the role of property ownership in political evolution, shell-based craft production, paleoclimate, watercraft, comparative and theoretical explorations of complex hunter-gatherers, consumerism, and uses of space in the home. In Fall 2013, I was 2013 William Lipe Visiting Scholar in Archaeological Method and Theory at Washington State University. 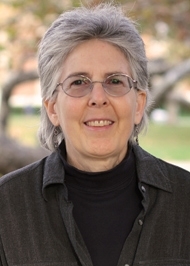 Professor Jeanne Arnold has researched and published extensively on the later prehistory and early Historic period of the American Pacific Coast, focusing on Native American community and household organization, specialized labor and occupations, and the emergence of hierarchical socioeconomic and political relationships. Archeological field and lab research has been supported principally by the National Science Foundation. Using a variety of survey, surface collection, excavation, and remote sensing strategies, Arnold and her students have analyzed communities on the northern Channel Islands of California to provide a window onto daily household life, specialized craft production, exchange relationships, subsistence, and political evolution. Archaeological discoveries in the region have supported the view that the Island Chumash were among the most complex hunter gatherer peoples of the world, as discussed in her edited book, The Origins of a Pacific Coast Chiefdom: The Chumash of the Channel Islands (2001). Archaeologists have focused relatively little on traditional architecture, village organization, and internal household organization during and immediately preceding the "Era of European Exploration" (AD 1540-1860) of the Pacific Coast and the ways that colonial contact impacted social groups. This project has two components. One encompasses developing an archive of images and texts about traditional households and their activities on the North American Pacific Coast. The second involves a multi-year field program in British Columbia, Canada. The project's second and third fieldwork seasons along the Fraser River Valley east of Vancouver, B.C., are in June, 2003 and 2004. Working with colleagues from Simon Fraser University, University of British Columbia, and the Sto:lo Nation (Coast Salish), UCLA team members are focusing on late precontact and early Historic households and their social and exchange relationships with people situated along the massive Fraser River system, which extends from deep in the Canadian Plateau to the Gulf of Georgia. The UCLA Center on Everyday Lives of Families (CELF) project, supported by the Alfred P. Sloan Foundation, focuses on the daily lives and material worlds of contemporary middle-class families in the Los Angeles area (link @ http://www.celf.ucla.edu/). Arnold has been a faculty project member since its inception in 2001. She developed the research design and directs the ethnoarchaeology domain of the CELF project, which focuses on the material culture of middle-class families at home, including the physical house and grounds, the possessions of the family, and uses of residential space by families. The material and visual record of life in modern American households captured in CELF databases is unprecedented among modern industrial societies (floor-plan maps, more than 21,000 digital photos of possessions, systematic scan sampling data of domestic uses of space, etc.). The assembled archives allow rapid access to rich spatial and temporal records of working family life, providing for an array of qualitative and quantitative analyses about activities, objects, and time use in the home. Among other topics, Arnold is investigating the crush of household possessions and their distribution within many of the sampled houses, the vanishing leisure time of parents, and the ways family identity is embodied in the home and its artifacts. The article "Changing American Home Life: Trends in Domestic Leisure and Storage among Middle-Class Families" appeared in the Journal of Family and Economic Issues in 2007.Arnold and several co-authors currently are working on a photo-essay book entitled Life at Home in the Twenty-first Century: 32 Families Open Their Doors. 2012 Jeanne E. Arnold, Anthony Graesch, Enzo Ragazzini, and Elinor Ochs. Life at Home in the Twenty-First Century: 32 Families Open Their Doors. Cotsen Institute Press, Los Angeles. 2011 Detecting Apprentices and Innovators in the Archaeological Record: The Shell Bead-Making Industry of the Channel Islands. Journal of Archaeological Method and Theory. DOI 10.1007/s10816-011-9108-1, May 2011. 2011 Technological Decision Making: Fused Shale Tool Production in California. North American Archaeaologist 32:15-48. 2010 Jeanne E. Arnold and Michael R. Walsh. California’s Ancient Past: From the Pacific to the Range of Light. Society for American Archaeology Press, Washington, DC. 2010 Torben C. Rick, Robert L. DeLong, Jon M. Erlandson, Terry L. Jones, Todd J. Braje, Jeanne E. Arnold, Matthew DesLauriers, Douglas J. Kennett, René L. Vellanoweth, and Thomas A. Wake. Where Were the Northern Elephant Seals? Holocene Archaeology and Biogeography of Mirounga angustirostris. The Holocene 21(7): 1159-1166. 1992 Complex Hunter-Gatherer-Fishers of Prehistoric California: Chiefs, Specialists, and Maritime Adaptations of the Channel Islands. American Antiquity, 57:60-84. 1993 Labor and the Rise of Complex Hunter-Gatherers. Journal of Anthropological Archaeology, 12:75-119. 1995 Transportation Innovation and Social Complexity among Maritime Hunter-Gatherer Societies. American Anthropologist 97:733-747. 1995 Social Inequality, Marginalization, and Economic Process. In Foundations of Social Inequality, T.D. Price and G.M. Feinman (eds. ), pp. 87-103. Plenum, New York. 1996 (editor) Emergent Complexity: The Evolution of Intermediate Societies. International Monographs In Prehistory, Ann Arbor. 1996 The Archaeology of Complex Hunter-Gatherers. Journal of Archaeological Method and Theory 3:77-126. 2000 Revisiting Power, Labor Rights, and Kinship: Archaeology and Social Theory. In Social Theory in Archaeology. M.B. Schiffer ed. University of Utah Press. 2000 The Origins of Hierarchy and the Nature of Hierarchical Structures in Prehistoric California. In Hierarchies in Action: Cui Bono? (M.W. Diehl, ed. ), pp. 221-240. Center for Archaeological Investigations, Occasional Paper 27, Southern Illinois University, Carbondale. 2001 (editor) The Origins of a Pacific Coast Chiefdom: The Chumash of the Channel Islands. University of Utah Press. 2004 A Transcontinental Perspective on the Evolution of Hunter-Gatherer Lifeways on the Plateau: Discussion and Reflection. In Complex Hunter-Gatherers: Evolution and Organization of Prehistoric Communities on the Plateau of Northwestern North America (W. Prentiss and I. Kuijt, eds. ), pp. 171-181. University of Utah Press. 2004 (editor) Foundations of Chumash Complexity. Cotsen Institute of Archaeology, UCLA. 2005 (w/ J. Bernard) Negotiating the Coasts: Status and the Evolution of Boat Technology in California. World Archaeology 37:109-131. 2006 Comment on Constraints on the Development of Enduring Inequalities in Late Holocene Australia. Current Anthropology 47:19-20. 2006 Households on the Pacific Coast: The Northwest Coast and California in Comparative Perspective. In Household Archaeology on the Northwest Coast (E. A. Sobel, D. A. Trieu Gahr, and K. M. Ames, eds. ), pp. 270-285. International Monographs in Prehistory, Ann Arbor. 2007 Credit Where Credit is Due: The History of the Chumash Oceangoing Plank Canoe. American Antiquity 72:196-209. 2007 Jeanne E.Arnold and Ursula A. Lang. Changing American Home Life: Trends in Domestic Leisure and Storage among Middle-Class Families. Journal of Family and Economic Issues 28:23-48. 2009 The Role of Politically Charged Property in the Appearance of Institutionalized Leadership: A View from the North American Pacific Coast.” In The Evolution of Leadership: Transitions in Decision Making from Small-Scale to Middle-Range Societies, edited by K. J. Vaughn, J. W. Eerkens, and J. Kantner, pp. 121-146. School of Advanced Research Press (SAR), Santa Fe, NM. 2009 Beck, M.E., and Jeanne E. Arnold Gendered Time Use at Home: An Ethnographic Examination of Leisure Time in Middle-Class Families. Leisure Studies 28:121-142 (Routledge). 2009 D. Lepofsky, D. Schaepe, A. Graesch, M. Lenert, P. Ormerod, K. T. Carlson, Jeanne E. Arnold, M.Blake, P. Moore, and J. Clague. Exploring Sto:lo-Coast Salish Interaction and Identity in Ancient Houses and Settlements in the Fraser Valley, British Columbia. American Antiquity 74:595-626.